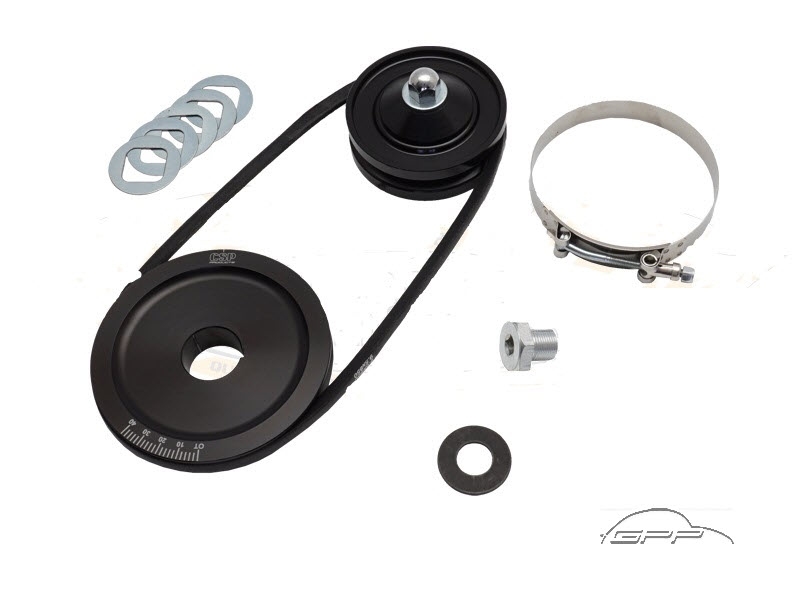 With our belt pulley kit you get a set of high quality components that will not only greatly enhance the visual appearance of your Beetle engine, but will also be very satisfying on the road - at an unbeatable favourable price! 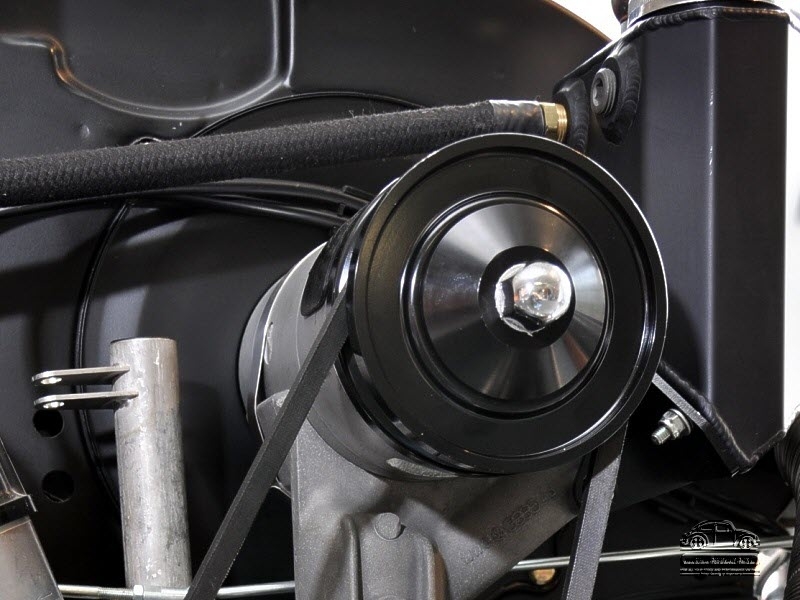 The graduated scale on the 146mm V-belt pulley not only looks stylish. Your graduated scale also helps you when you are adjusting the valves and ignition settings. 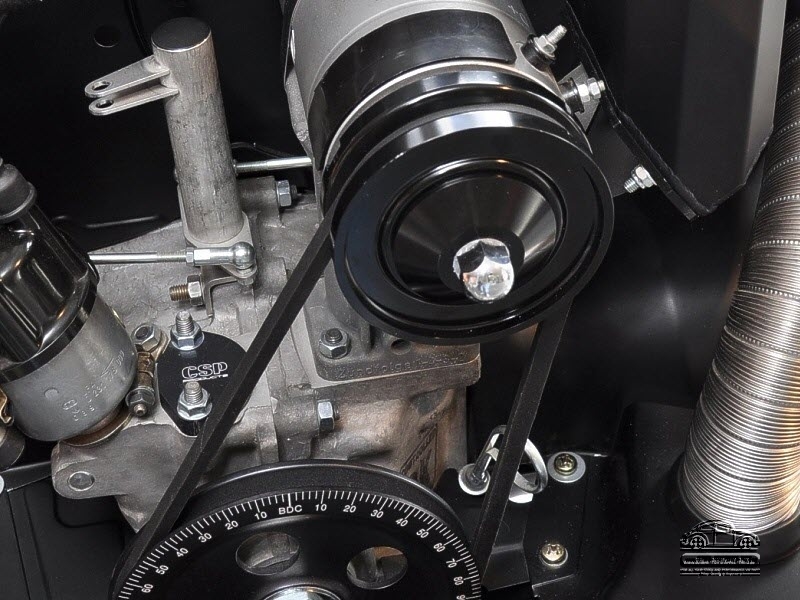 The generator disc, like the V-belt pulley, is black hard anodised and ensures maximum durability and true running of the V-belt. The belt pulley bolt has a practical 3/8'' socket head for ease of turning over the engine with the socket wrench. The high-quality generator strap is manufactured in stainless steel and is tensioned by means of a clevis pin - a solution that really works technically!